I’m on a roasted vegetable kick lately. 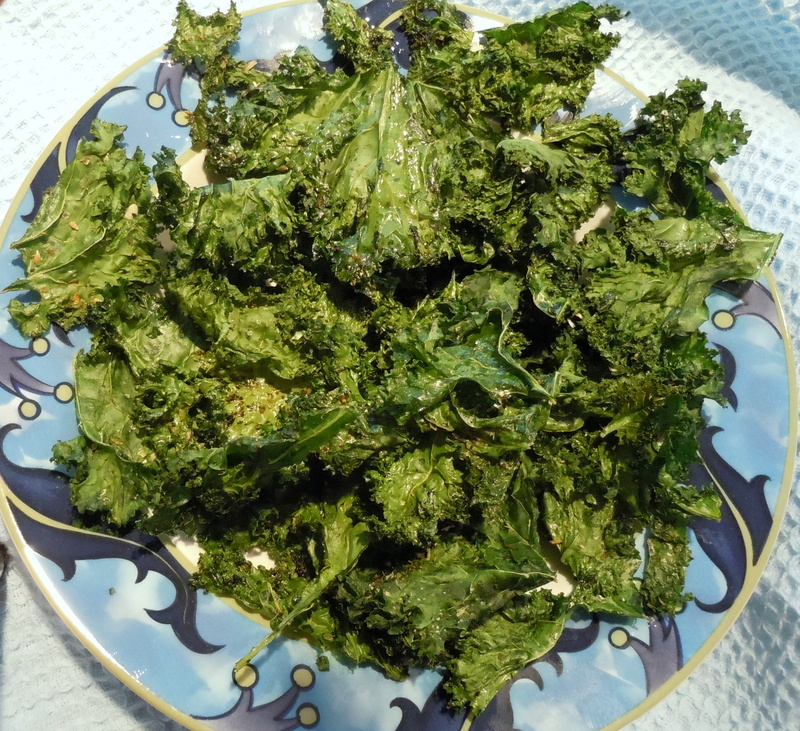 It started with kale chips. My sister Jul (kindergarten teacher and amazing cook) mentioned that a parent had brought these chips to her class in an effort to teach the students that veggies can be fun. The kids scarfed them down in record time. I did a quick search and found that I was late to the party: every blog and food site had a recipe. I made a small batch of Smitten Kitchen’s version. They never even made it to the table. My teenager and I stood over the hot pan and ate every single one. Luke suggested the addition of Aleppo pepper or Penzey’s Tuscan Sunset herbal blend. We made more the next day (with some Tuscan Sunset) and Tom was hooked too. We were already big fans of roasted broccoli (check future posts), roasted carrots, and roasted shallots. It was time for green beans. What has worked before worked again: A quick toss with a drizzle of olive oil, a sprinkle of sea salt and black pepper, then 15 minutes in a very hot oven. The result: highly unattractive shriveled beans with blotchy browned patches that tasted fantastic. I’m a green bean fan anyway, but these babies were something else—chewy (in a good way), slightly salty, and sweet with a caramel edge. Tom requested a second showing as soon as possible. I tossed the beans we didn’t eat straight off the cookie sheet with some cooled orzo, black olives, a little lemon zest and some leftover homemade ranch dressing. I was planning to dress the salad with lemon juice and olive oil, but that ranch was calling to me, and the creaminess rounded the dish out nicely. I’m currently having a torrid affair with Fresno chiles; I can’t seem to go a day without them. Leave them out without guilt, if you prefer. Heat the oven to 450°F. 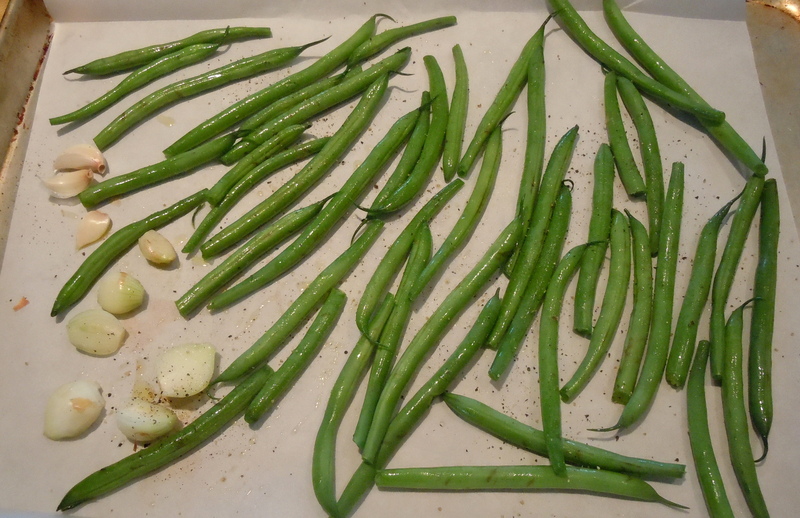 Wash, trim and dry the green beans. 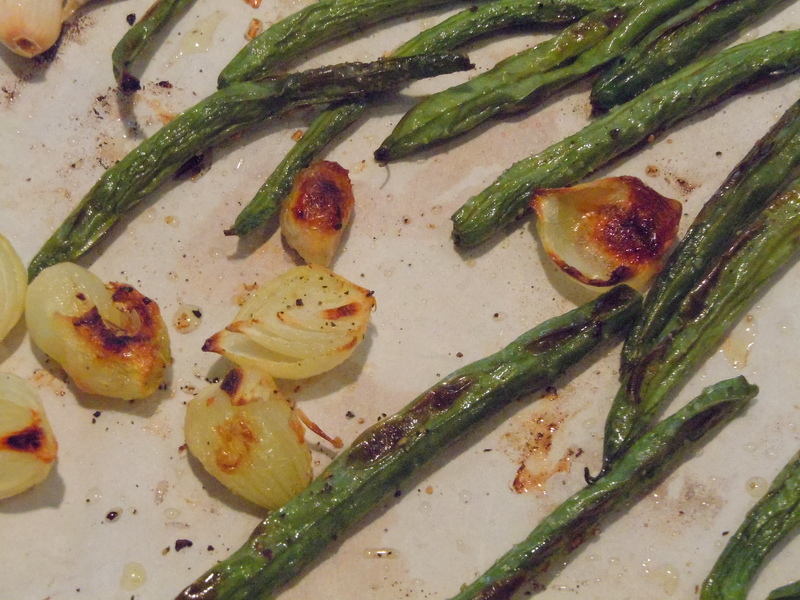 Toss the beans with the garlic, shallots and oil and spread in one layer on a parchment-covered cookie sheet. Sprinkle generously with salt and pepper. Roast for about 15 minutes until the shallots are soft and golden, and the green beans are shriveled with brown spots, and tender. Cool to room temperature. Try to save some for the salad. Meanwhile, cook the orzo in boiling water until al dente. Rinse with cold water and drain well. 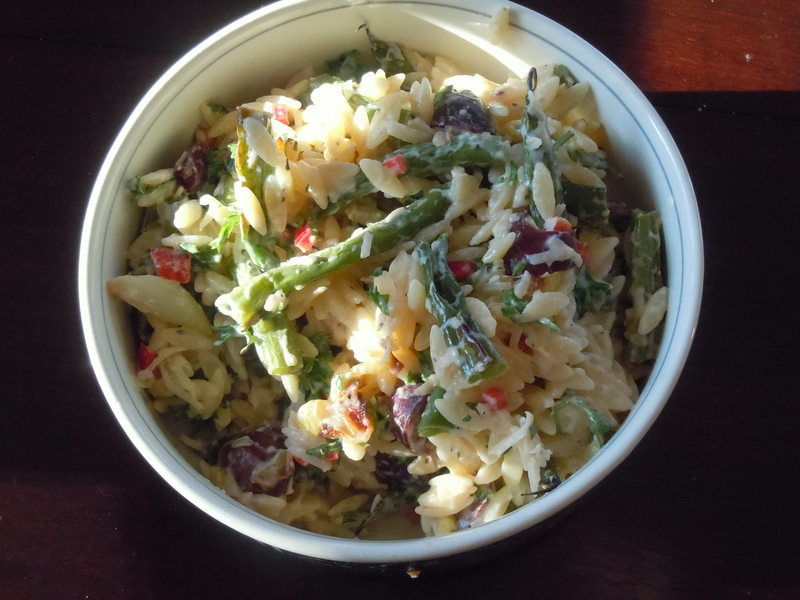 Cut the roasted green beans in half and chop the shallots; add to the orzo. Stir in the olives and the Fresno chile. Squeeze the garlic cloves out of their skins. Mash into the ranch dressing. Whisk in the lemon zest. Pour over the orzo and stir to combine. If you have them around, add some chopped fresh parsley and chives. It’s delectable at room temperature and also great chilled. Makes 2 main dish or 4 side dish servings. This entry was posted in sides, veggies and tagged green beans, roasted vegetables. Bookmark the permalink. Thanks, Peg! The nicest thing about these green beans is that roasting doesn’t take any longer than steaming, but there’s so much more flavor. Let me know how it goes.